This is a detailed account of over 100 of the best birdwatching sites in the great county on Yorkshire. The sites range from Spurn Point in the south-east, northwards along the coast to Flamborough Head and the Tees Estuary and inland along the Pennine Chain with its many reservoirs and the high barren moorlands to the rolling hills of the North Yorkshire Moors. Every site is described with directions for access and distances for travel as well as lists of all species to be found at the various seasons. Each site is described in terms of 'Habitat', 'Species', 'Access' and 'Birds', and the volume is illustrated throughout with line drawings and maps of each site. 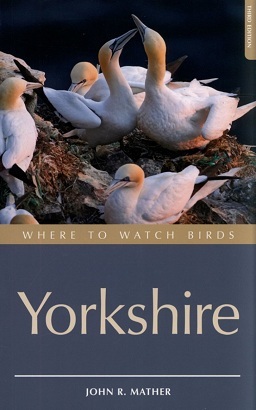 The manual seeks to enable birders to plan productive trips at any time of the year. 320 pages, line illustrations, maps.